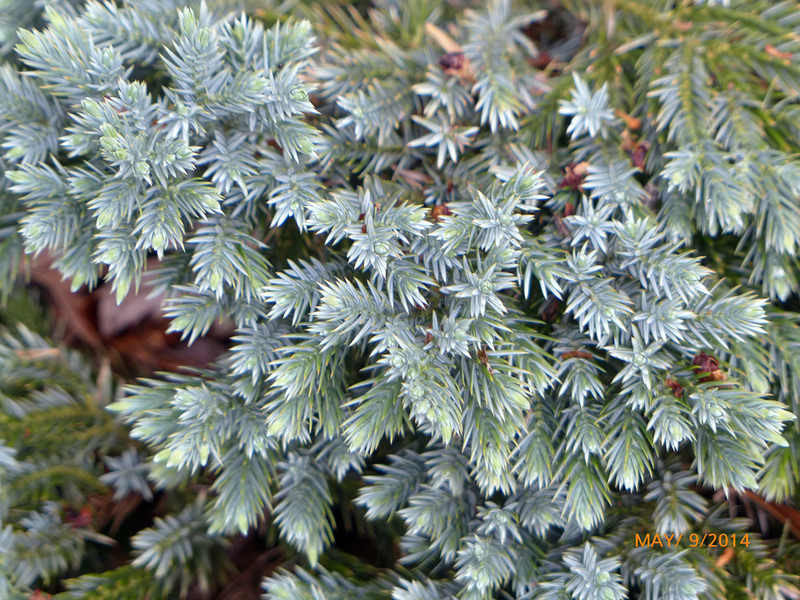 Because of its slow speed of growth and striking appearance, the Blue Star juniper mixes well with alpines and heathers. 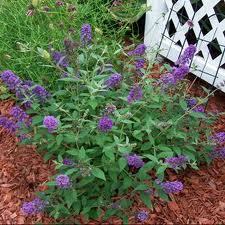 It also looks good in gravel gardens and close to the edge of paving. Red or yellow brick would be an effective contrast with it, as are yellow-leaved forms of winter flowering heather, Erica carnea, such as ‘Foxhollow’, ‘Altadena’ and the like. A single specimen of ‘Blue Star’, or even a scattered group would look stunning with these yellow-foliaged heathers growing around and between them. 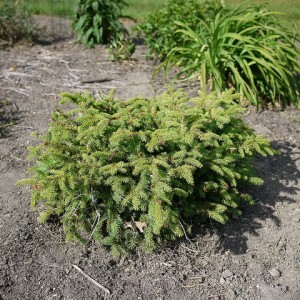 The Blue Star Juniper is one of the most popular compact or small bush junipers for garden plantings everywhere in the temperate world, truly a ‘star’ of a plant. ‘Blue Star’ has a bushy, loosely-dome-shaped form, with some projecting shoots. Sometimes it is denser and more uniform than in the illustration here. 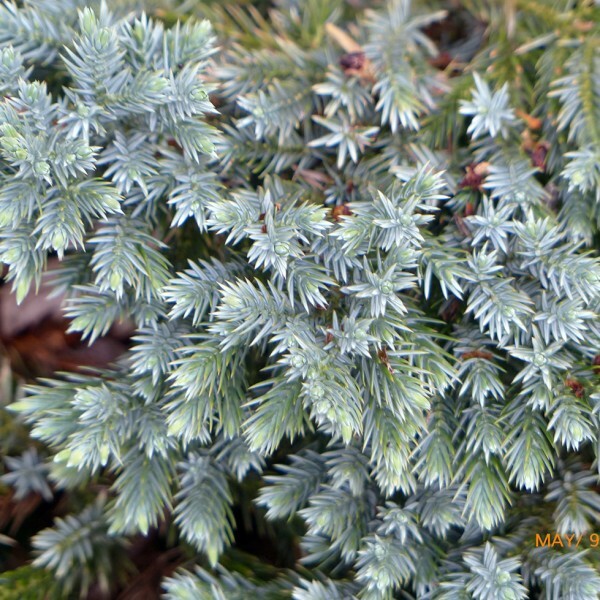 The Blue Star juniper has prickly ‘juvenile’-type foliage of a silvery-blue colour. It is usually dense and well-furnished. 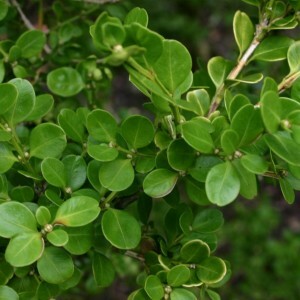 The growth rate is fairly slow, a plant making up to 3 feet (1 metre) across in ten years, and a little less high.